Operating a small healthcare company is a great idea for people with the right qualifications. Working for an established business will mean you never make a huge income. However, you can determine your rate of pay when you own the firm. With that in mind, you’re going to learn an excellent strategy this afternoon. It could help you to hit the big time very quickly. So, prepare yourself. Things could soon become rather hectic for a while. To take any company to the next level, you need to seek investment. Even if you have enough cash in the business to pay for the expansion, it’s wise to encourage other people to take the risks. Just create a plan that highlights your strategy for the future. So long as you can prove that investors will see a healthy return, they should queue around the block. It’s sensible to approach your bank manager before talking to private investment firms. However, they are hesitant to lend money since the financial crisis hit. That means you’ll need to present them with an opportunity they can’t ignore. Making your business more efficient is an essential step. 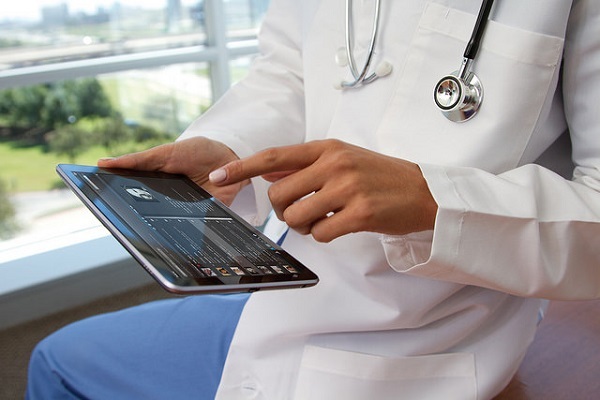 Experts at Cloudticity claim lots of healthcare companies are going digital. You should look at providing online portals for your patients. That would allow them to book consultations and get information without calling your office. There is no need to call patients in for an appointment if their test results have come back negative. You can simply list the findings in their personal portal. Also, the use of automatic text messages is popular at the moment. Look into all the possibilities available and decide which makes sense for your firm. The success of your healthcare business rests on your ability to find patients. That means you need to employ lots of lucrative marketing techniques. Online banner advertising is a good idea, but most of your clients are based in the same area. So, you should look at more traditional ideas. For instance, printed promotional materials could help you to gain more attention. Just pay a designer to create stunning graphics, and then contact a local printing company. You only have to search online to find delivery specialists who will handle all the legwork. You are never going to identify the best strategies straight away. That is why you must remain flexible throughout the entire growth process. New concepts could fall in your lap, and you need to capitalize on them. At any time, the promotional landscape could change. If you’re not ready to deal with those alterations quickly, your business could lose out. Flexibility is the key to success if you want to hit the big time. So, that’s about all for today. You should now have a decent perception of the road ahead and what it might involve. Always try to think outside the box, and don’t be afraid of new concepts. Trying something entirely original often works well with professionals in your industry. Perhaps it’s time to create an interesting publicity stunt? Maybe you should consider teaming up with a more established brand?